HONG ZI CONSTRUCTION SDN BHD (Reg No. 383794-H) a private limited company established on 15th April, 1996 dealing in building and civil engineering works nationwide. Since its formation in 1996, Hong Zi Construction Sdn Bhd had completed more than RM180 Million worth of Contracts comprising of high-rise buildings, factories, houses and infrastructure works. 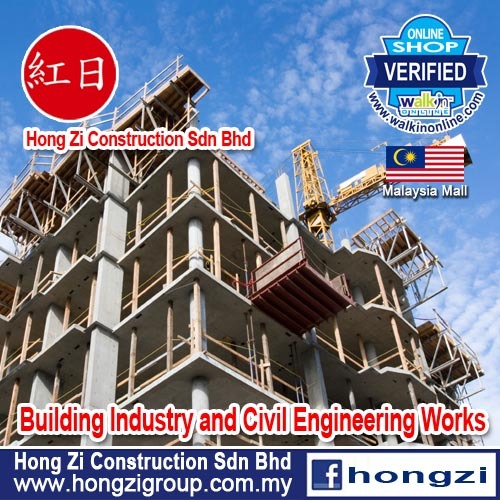 Hong Zi Construction Sdn Bhd is able to undertake sizeable projects as we are not only experienced but also having qualified personnel to manage and run these projects efficiently and professionally. The Board of Directors of Hong Zi Construction Sdn Bhd, represent a cross section of expertise well suited to achieving the Company's Aims and Objectives. Hong Zi Construction Sdn Bhd also registered with CIDB Grade7 Contractor. The vision of the company is to transform the strength and expertise of the Company in enhancing timely delivery commensurate with higher standard quality of works to the satisfaction and requirements of our Clients.